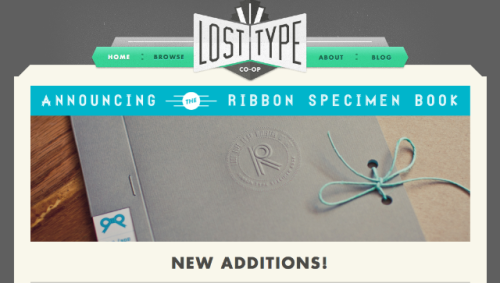 Lost Type is a nice source of pretty high quality fonts that allow you to choose your price. Enjoy! 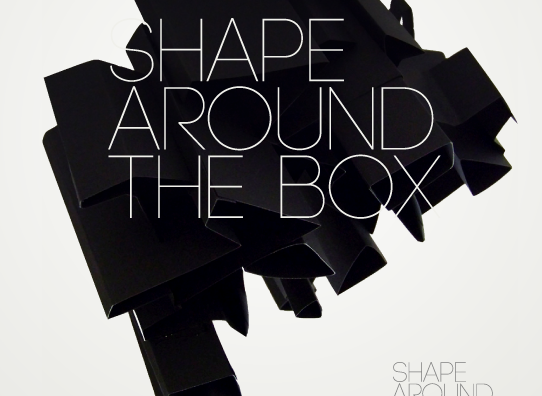 A few new free fonts by Font Fabric. 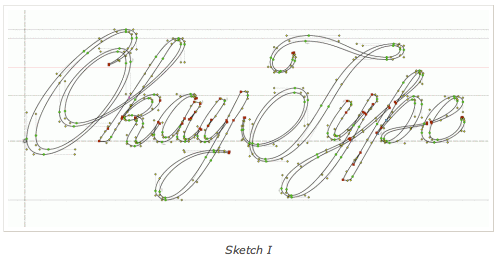 This is a nice peak into the process of designing a script logotype. 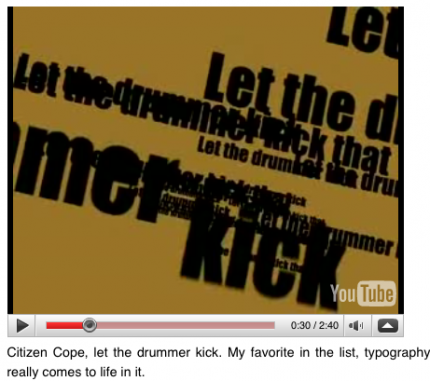 Here is a nice list of the best free fonts of 2009 put together by the web design blog WDL. 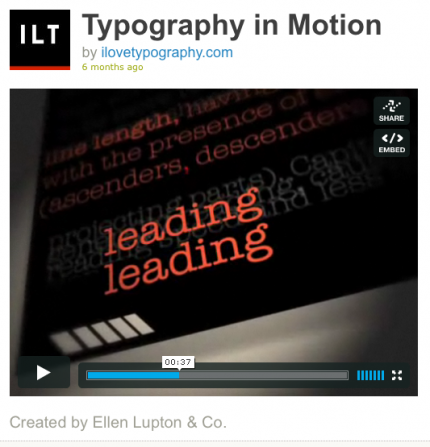 Type Theory: another typography blog. Looks like a good one. How magazine rated it in the top 10. Here are some sources for quality free fonts. 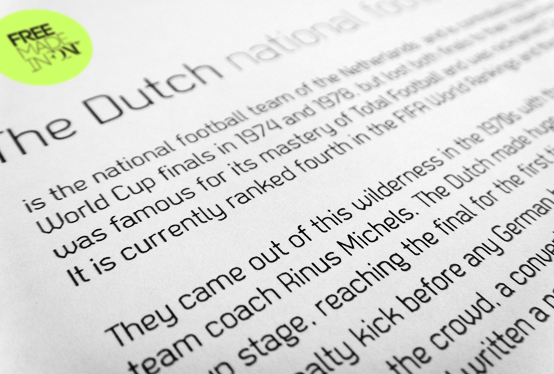 Blog post with 9 nice dynamic type pieces. 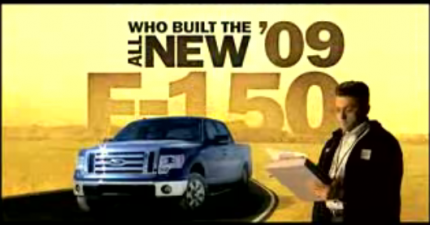 Ford F-15 Commercial: A more commercial application of the experiments above. 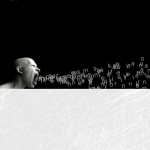 Nice documentary and blog post on the making of the ‘Six Feet Under’ title sequence. Link to Blog Post. 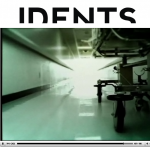 Link to Documentary. 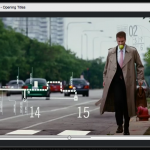 Stranger Than Fiction title sequence. 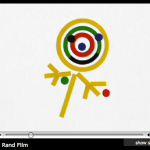 Great short film on Paul Rand from Imaginary Forces. 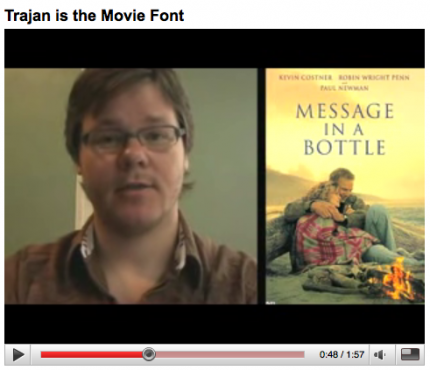 Funny short about Trajan being used as the only font on movie posters. 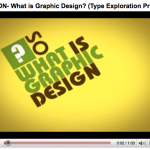 Funny video on character of fonts. Some language. 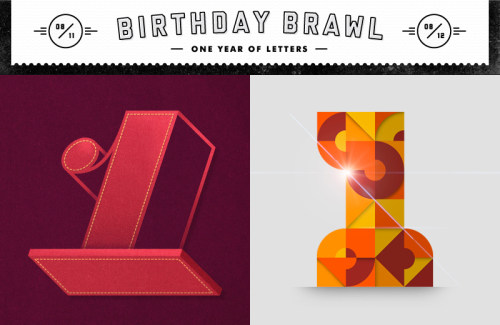 One By Ellen Lupton with basics of typography. 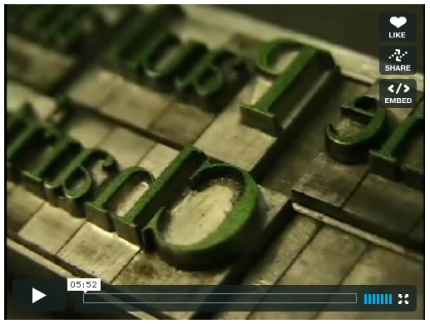 Great NPR style movie on letterpress printing.